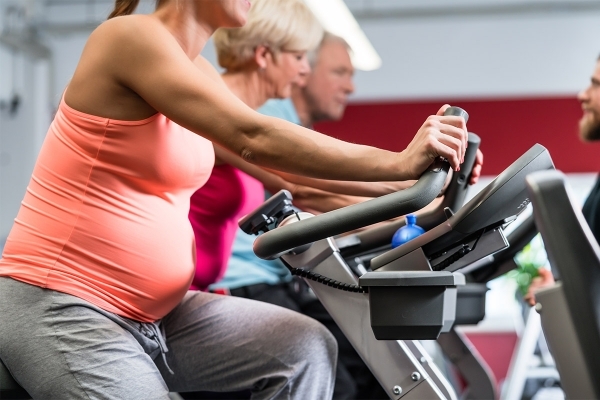 Performing regular light exercise during pregnancy helps in keeping the mother as well as the baby healthy. Blood circulation, anxiety, stress management and weight watching- everything can be regularised with a healthy workout routine. Here is a list of five such exercises that are easy to do and possess no risk to the baby at all. Brisk walking around a park can be a wonderful exercise since it promotes cardiovascular workout without putting too much pressure on the knees and ankle. This can be done at any time of the day and requires no special equipment. However, caution must be maintained since after pregnancy the centre of gravity changes and one may find difficulty in balancing the body. Hence, while walking, the mother must avoid rocky terrain or slippery roads and wear good walking shoes with a solid grip. Swimming and water aerobics can also be a good way to exercise since the buoyancy of the water takes off a lot of body weight and may provide relief. Walking in water and water aerobics offer good health benefits throughout the pregnancy period. However, the mother must maintain caution and choose a stroke that is not too hard and one that supports the neck, back and arm muscles. Use of a kickboard can help in strengthening the leg and buttock muscles. A few safety tips should be followed; for example, direct jumps or diving in the water should be avoided since it may harm the abdomen. Secondly, the mother must avoid warm pools, sauna and hot tubs since they may cause damage to the baby by overheating. Spinning or cycling on a stationary bike provides a good cardiovascular workout without putting too much pressure on the joints. Since the bike seat provides support, there is very less risk of falling down. In the later stages of pregnancy, a higher handlebar might be useful. Yoga is perhaps the best exercise for the prenatal duration. It is a great stress reliever and also provides peace of mind while controlling blood pressure and anxiety. Yoga strengthens muscle and promotes blood circulation and also helps the mother to stay calm during labor. As the trimesters follow it is better to avoid poses that put pressure on the abdomen or include lying on back for too long since the weight of the foetus can put pressure on major veins and arteries. Also, one might be tempted to overstretch but that could lead to internal injury. Low impact aerobics are those which need one foot to be on the ground at all times. This includes low jumping, spot running etc. They reduce the impact on joints, help in maintaining balance and tone pelvic muscles. There are special classes designed for pregnant women where they keep a special watch on the workout routines. In addition to these tips, squatting and doing pelvic tilts also help in reducing back pains and increasing the pelvic muscle strength. The main aim to exercise during this time is to reduce the body pains and keep all the muscles in good shape and also to avoid gaining extra weight. Additionally, the toned pelvic muscles help in making the labor process easier. 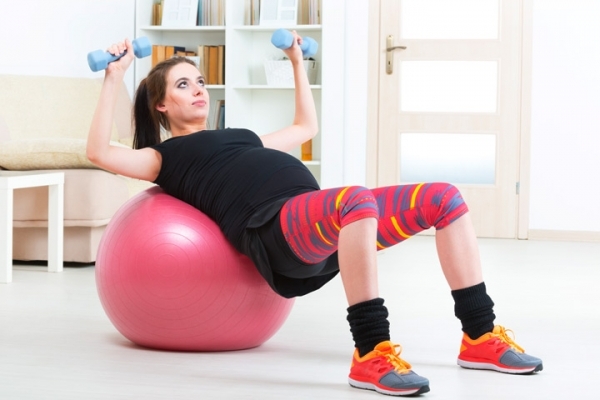 All these exercises can help a woman during her pregnancy.